I helped an old gentleman move from his home to a retirement home and he told me I could keep a desktop computer that he had because he would no longer need it the computer turned out to be a dell inspiron 530s with the G33M02 motherboard and a 250GB hard drive made by seagate dual core processor and about 1gb ram I decided I would upgrade this computer since he took very good care of it and it is flawless I wanted to go ahead and replace the hard drive with 2 Seagate constellation 1Tb hard drives also planned to yank the ram and replace it with 4 sticks of 1gb ram made by samsung which is the brand it currently has in it the har drives should work and the ram should as well I'm aware this system supports 4gb of ram on 64 bit OS and that the G33M03 would support 8 I also seen that a lot of people claim I can pretty much go with any graphics card the limiting factor would be the 250W power supply I am going to replace that supply with a 420W I found on newegg so my question is do you see any issues with the parts I plan to acquire and how far can I go with the graphics card ? What is the best graphics card this system can successfully and correctly make use of ? You're going to need a low profile gfx card obviously. The GT 1030 comes to mind as one that would work fine with the current 250W Dell PSU. In fact, the Dell 250W PSU has a 17 amp capacity +12V rail. That would tempt me to go with a L-P GTX 1050 or 1050 Ti even. What CPU does that have? Which 420W PSU are you planning on using as a replacement? I can't imagine a real 420W fitting in the machine. If this is the 420W PSU that you are referring to, don't bother. Your Dell 250W has better specs. 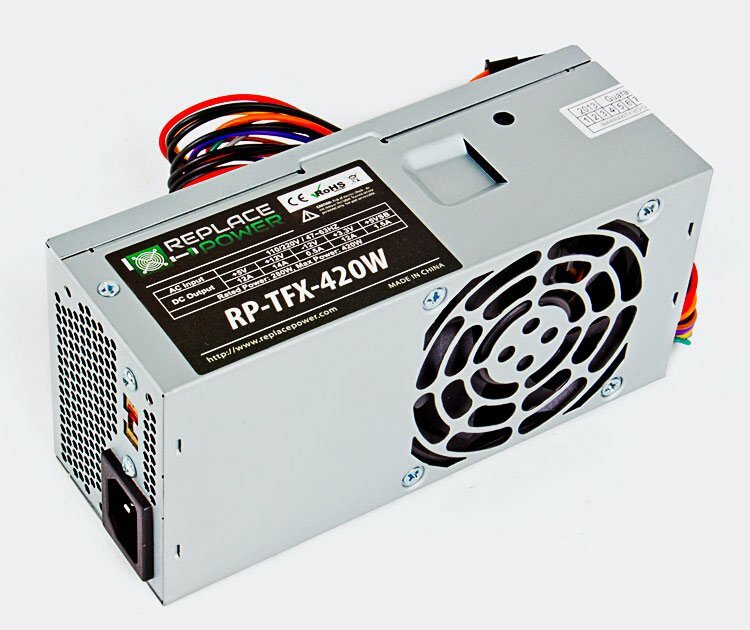 That replacement isn't a 'real' 420W PSU. And it has a weaker +12V rail* than the Dell. It is basically a poor 250W. * The +12V rail is the rail needed to power heavy loads like the CPU and GPU. Well... I can't promise anything, obviously. But I used to have a Dell Optiplex 790 SFF with a similar PSU to yours. It too had a 17A rated +12v rail. I put a Zotac GTX 1050 Ti low-profile in it and ran it hard gaming a lot with no issues. It wasn't a PC that I worried about losing if the PSU died and took out something else with it. But it never faltered. In fact, I eventually sold the PC later and to the best of my knowledge it is still going strong. If your system were mine, I'd do it. Question Will a Gigabyte 2 GB GTX 1050 work in an Inspiron 3668 with a 240w PSU? Graphics cards update for a Inspiron 530 slim, for gaming. GT 1030 compatible Dell Inspiron SFF ? Question How to get those nice wallpapers on login screen? Question Samsung CFG73 24” vs Acer Predator XB240H 24" vs Asus VG248QE 24"